The following campground directory and listings are updated frequently providing you with the most up to date information on RV parks, and RV campgrounds. Bureau of Land Management which is responsible for carrying out a variety of programs for the management and conservation, of resources on 256 million surface acres of public land. You can request FREE camping information on their website or by calling (202) 452-5125. KOA find a KOA and reserve a campsite online. National Association of RV Park and Campgrounds (ARVC) of over 3,000 listings. National Park Service cares for national parks, a network of nearly 400 natural, cultural and recreational sites across the nation. National Wildlife Refuges managed by the U.S. Fish and Wildlife Service, is the world's premier system of public lands and waters set aside to conserve America 's fish, wildlife and plants. RV Park Hunter search for RV Parks online. State Parks where you can enjoy nature and inexpensive camping. State Tourism Offices search cities for important information, especially if you are planning an extended visit. 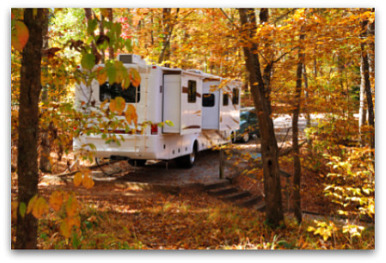 Trailer Life Directory over 12,500 campground listings. U.S. Army Corps of Engineers 53,000 campsites near oceans, rivers, and lakes. The U.S. Army Corps of Engineers manages more than 12 million acres of land and water nationwide. In fact, they are the largest federal provider of outdoor recreation in the nation!Check out their campground directories. U.S. Forest Service 4,000 campgrounds, YOu can request a FREE guide to national forest campgrounds online. Wheelers RV Resort and Campground Listings covers the United States, Canada and Mexico, describing and locating government and privately operated parks serving campers and RVer's. FREE CAMPGROUND SEARCH with Woodalls campground directory features a reliable rating system and up-to-date listings. Yogi Bear's Jellystone Park Directory Camp-Resorts in the USA & Canada FREE directory. Thousand Trails Campgrounds is the RV campground memberships largest private system of RV camping and outdoor preserves in America. Coast to Coast RV Resorts - Coast to Coast RV resorts have so much to offer the full-time RVers. RV Campgrounds in Maine - RV campgrounds in Maine offer the opportunity to experience Maine’s coastline and history. RV Campgrounds in Washington State - Breathtaking waterfalls and panoramic mountain views await you all within an easy drive of any of these RV resorts in Washington. Vail Lake RV Resort - Vail Lake RV Resort is located in Temecula, California about 70 miles from San Diego and an hour and a half from Los Angeles. RV Resorts in Florida - RV resorts in Florida provide something for everyone, making Florida the ideal place to vacation, as well as a great place call home during the winter. Scattered all across the Sunshine State the sheer numbers ensures an affordable paradise is available to every RVer. Yuma RV Resorts - Yuma RV resorts provide full-time RVers with warmth during the harsh winter months and a place to cool off in the hotter than hot Arizona summers. Cotton Lane RV Resort - Cotton Lane RV Resort, located off Exit 124 of Interstate 10 in Goodyear, Arizona, is an over-55 park with all the amenities for comfortable RVing. RV Resorts California - RV resorts California provide a variety of options from the northern areas of wine country to the southern tip bordering Arizona. RV Parks in the US - Over 17,000 RV parks in the US welcome temporary or long-term visitors throughout the year. RV Parks in Corpus Christi - The best RV parks in Corpus Christi all have great views of the port. 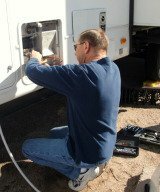 RV Parks in Mesa Arizona - Mesa is a popular town for fulltime RVers, as well as seasonal RV owners, especially for those looking for a warm place to perch for the winter. RV Parks in Palm Springs - Staying in one of the many RV parks in Palm Springs is a great way to see the city without having to spend a fortune on accommodation.